Leica HCX PL FLUOTAR 40X/0.75 âˆž/0.17/D Microscope Objective Part Number 506144 . New Life Scientific, Inc. This Leica 506144 objective is from a 2015 Leica DM4 B microscope, manufactured in Germany. 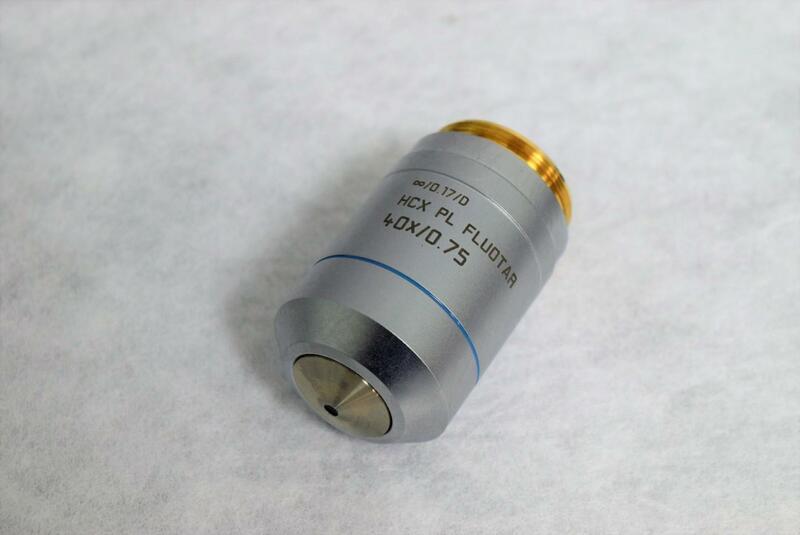 It's a semi-apochromatic, universal PL Fluotar objective that features chromatic correction for visible wavelengths. This makes it well suited for standard fluorescence microscopy. New retail price on this objective is well over $2000 new. Why pay that exorbitant price when you can purchase it at our lower price and save.